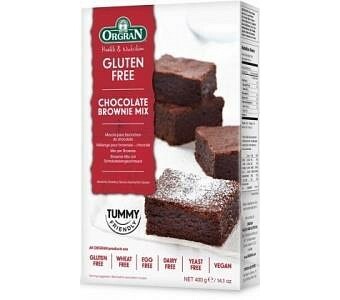 Orgran Brownie Mix Choc Flavoured is easy to prepare and makes delightful gluten free brownies everyone will enjoy. 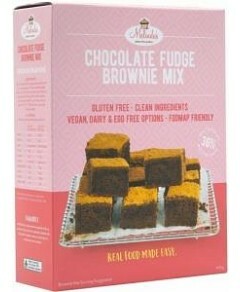 Brownies are always popular and you can now savour them freshly baked hot from the oven. Keep a pack handy in the cupboard for unexpected guests. Ingredients: Brown Sugar, Rice Flour, Cocoa Powder (9%), Potato Starch, Tapioca Starch, Maize Starch, Vegetable Gums (Stabilisers): (Guar gum, Methylcellulose), Salt, Raising Agents: Sodium Bicarbonate, Calcium Carbonate. Citric Acid.